Independent auditors provide many benefits to business owners and management: They can help uncover errors in your financials, identify material weaknesses in your internal controls, and increase the level of confidence lenders and other stakeholders have in your financial reporting. But many companies are unclear about what to expect during a financial statement audit. Here’s an overview of the five-step process. The primary goal of an audit is to determine whether a company’s financial statements are free from “material misstatement.” Management, along with third-party stakeholders that rely on your financial statements, count on them to be accurate and conform to U.S. Generally Accepted Accounting Principles (GAAP) or another accepted standard. 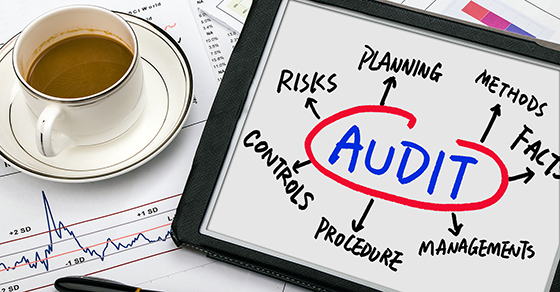 Auditing rules require auditors to assess general business risks, as well as industry- and company-specific risks. The assessment helps auditors 1) determine the accounts to focus audit procedures on, and 2) develop audit procedures to minimize potential risks.